Katharine regularly invited guests to join the family for dinner on Sunday after services at Reynolda Presbyterian Church. The meal began promptly at 1:30 p.m. 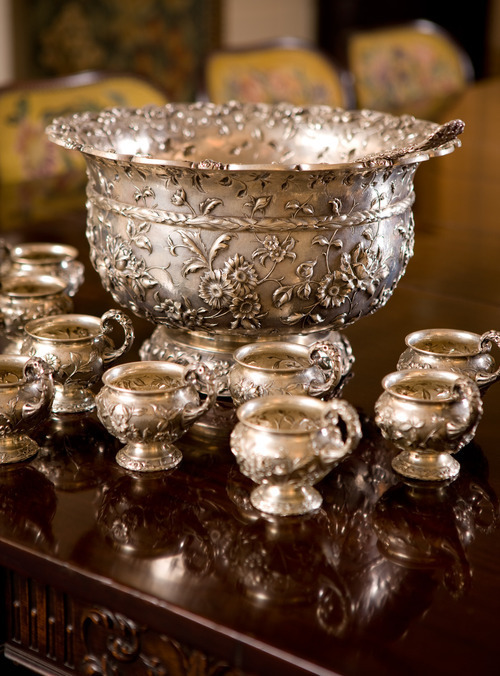 The children learned table manners at an early age and were expected to remain seated throughout the three-course meals. Guests might include relatives, teachers at the Reynolda School, its principal, the minister, and village residents. 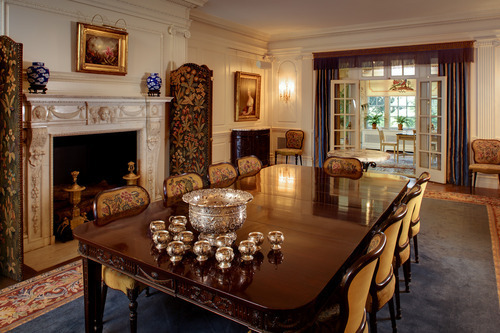 The Dining Room features an Adam Revival-style dining table with several extensions and 16 needlepoint covered chairs. Matching mahogany sideboards and demilune cabinets complete the furnishings. There was something artistic about the work, it was beautiful— setting up and arranging the table…it was absolutely a pleasure to do it. 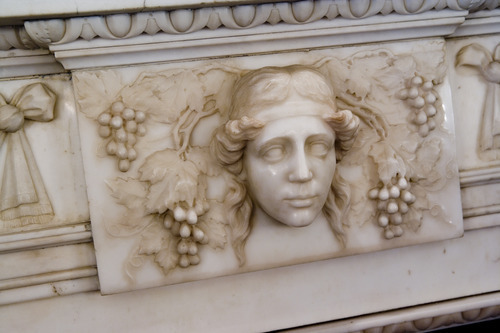 Pictured above: Marble mantel detail in the Dining Room.